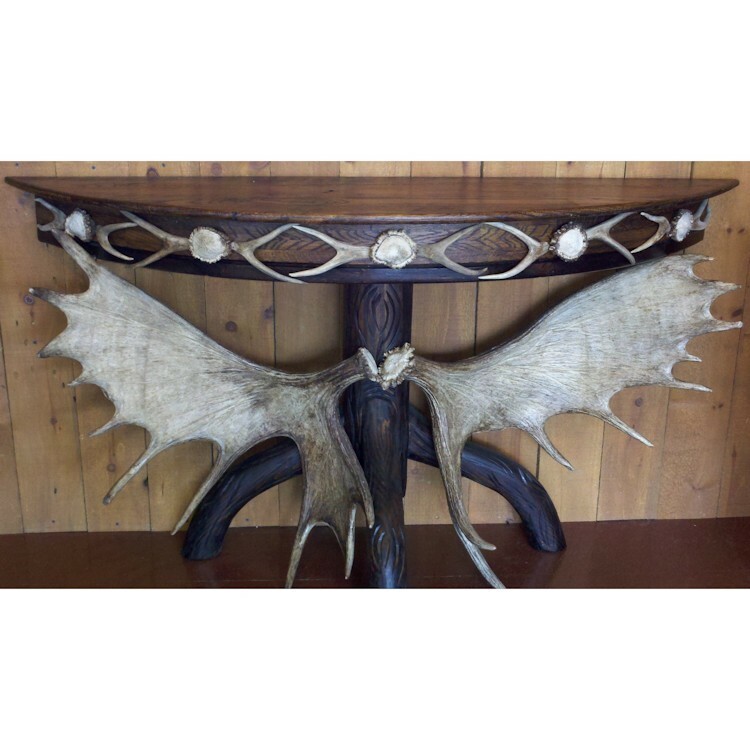 The beauty of nature can become a part of your cabin home with this Antler Console Table. Impressive in the hallway or behind a sofa is console table is made of reclaimed poplar accented with shed moose antlers and mule deer forks. 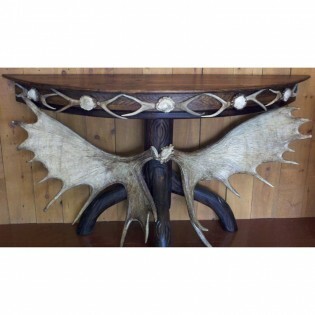 The beauty of nature can become a part of your cabin home with this Antler Console Table. Impressive in the hallway or behind a sofa this console table is made of reclaimed poplar accented with shed moose antlers and mule deer forks.